This selection of resorts and hotels, including unexpected isles in the middle of a major metropolis, offer a crowd-free setting, thoughtful luxury, and excellent service. The pristine beaches, turquoise waters, and swaying palm trees already make Fiji a dream destination for most, but the romantic experience is elevated at Royal Davui. 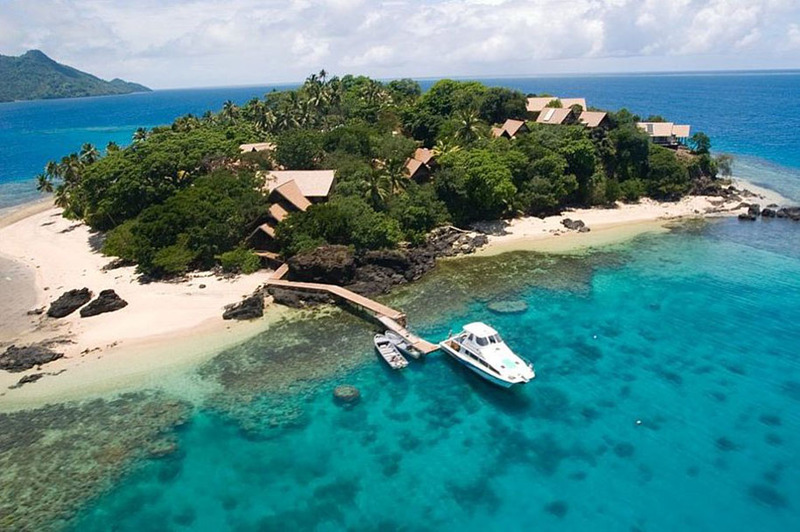 The exclusive, adults-only resort is solely accessible via private shuttle boat from Pacific Harbour, transporting guests to a secluded paradise of 16 luxuriously appointed villas nestled into the island’s lush landscape of vegetation and trees. Traditional thatched roofs and wooden interiors pair with modern amenities including spa baths, living room areas, and private plunge pools and sun decks. Even the reef surrounding the island was declared sacred, meaning that no fishing is allowed within one mile of the island, creating a colorful marine reserve of fish, clams, and coral for snorkeling visitors to enjoy. 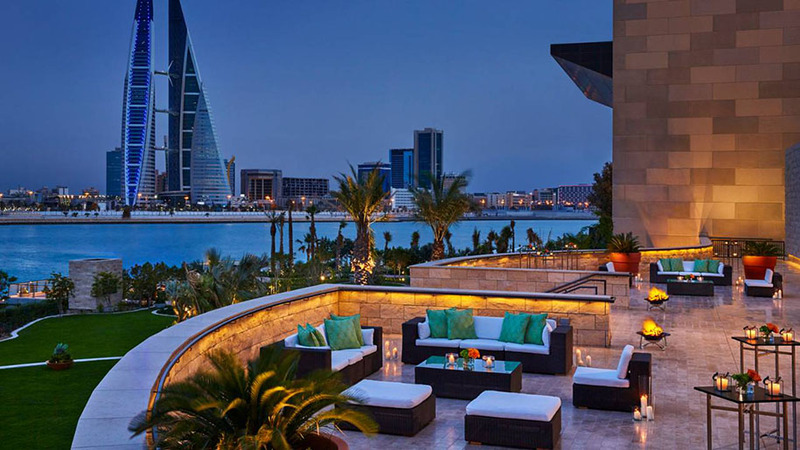 Located on a 12-acre private island in the heart of the capital city of Manama, the 68-story property is home to 273 guestrooms with oversized windows overlooking the Arabian Gulf or Manama skyline, and a 17-treatment room spa. Choose from four sparkling pools to log a serious workout or simply bask in the sun, then spend mealtimes sampling the flavors of seven on-property restaurants and lounges, including three venues from celebrity chef Wolfgang Puck. Indulge in a bit of glitz and glamour on your private island escape at Blue Moon Lounge, an opulent, Moroccan design-inspired bar on the 50th floor of the hotel, the highest bar in the Kingdom of Bahrain. At nearly all times of the year, Venice is one of the most crowded cities in Europe, but you’d never know at the JW Marriott Venice Resort and Spa. Set on the leafy and peaceful 40-acre Isola delle Rosa in the southern Venetian lagoon, the hotel is a 20-minute boat ride from St. Mark’s Square and a welcome haven from the throngs of tourists in the center of Venice. Spend mornings strolling among the olive, magnolia and lime trees in the 30-acre manicured gardens that surround the property, and warm afternoons by the sleek rooftop pool or in the elegant spa. Try your hand at Italian cuisine at the Sapori Cooking Academy to learn authentic Venetian recipes, or simply enjoy the masterful creations of a professional chef at one of four restaurants. 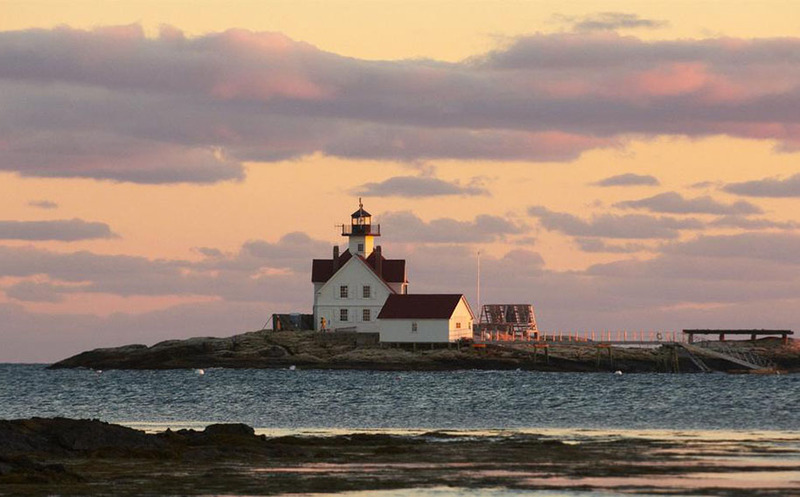 The restored 1892 lighthouse houses two modern suites both with marble bathrooms, panoramic ocean views of the Maine Atlantic coastline, custom king-sized beds and a soothing color palette of gray, blue, and cream. You can splurge on renting the entire inn and island for yourself, spending sunny summer days (the resort is open late May to September) kayaking, hiking the coves, flying kites or tucking into your favorite book from an Adirondack chair on the lawn. Getting there is part of the adventure, too, thanks to a 15-minute ride from Maine’s Southport Island in a launch piloted by a U.S. Coast Guard-licensed captain.